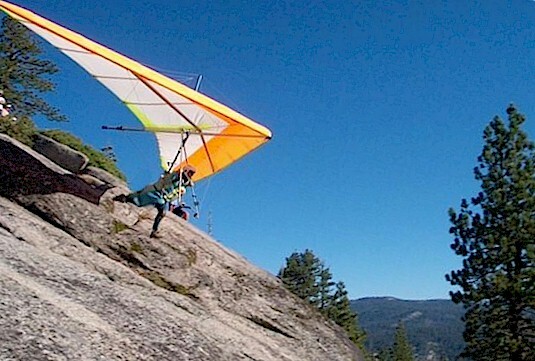 Jeff used a Falcon 195 glider for his first flight in July of 2003 because it is lighter and easier to manage than gliders with higher performance like his Pepto-Pink XS-3. 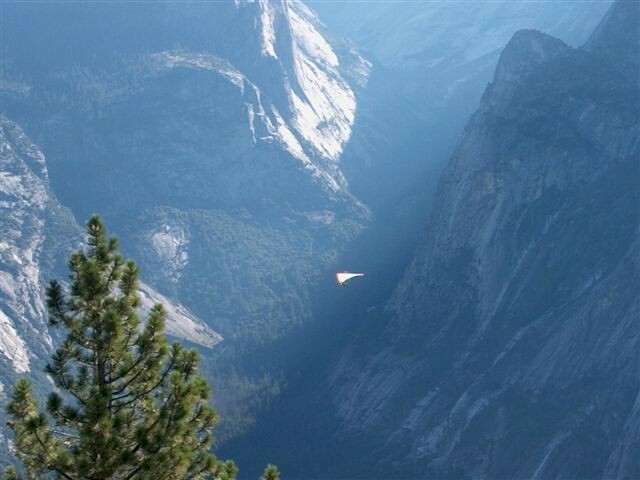 A lighter glider is especially helpful because the steep angle of this particular launch requires total commitment. In short, the 3000 feet of vertical cliff that begins just beyond the bottom right corner of this photo prevents the possibility of changing one’s mind in mid run! 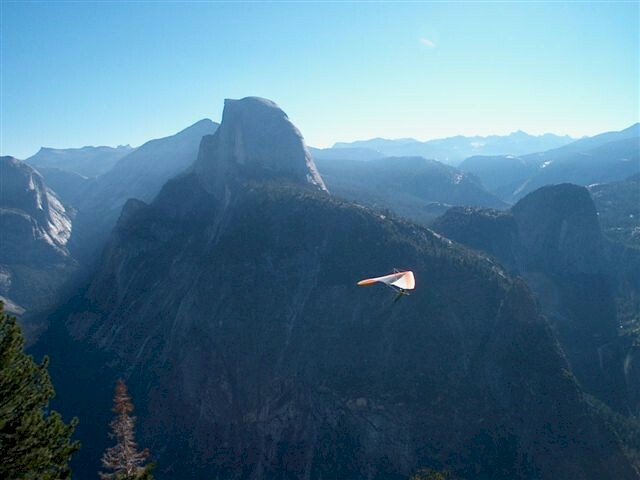 Half Dome dwarfs all else for the pilot only seconds after becoming airborne. 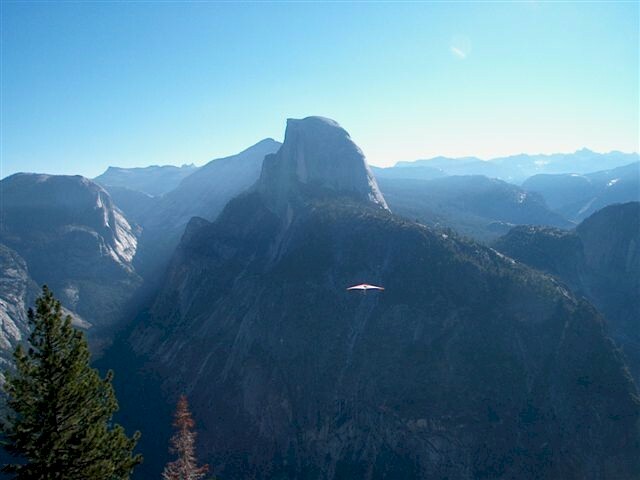 Several seconds later, the view of Yosemite Valley dwarfs even Half Dome. Here begins the all too quick but amazingly beautiful glide through the valley. Special thanks to photographer Cathy Holland, friend of Charlie (pilot) and Kathy (Hang Driver) Nelson of Redwood City, CA!